﻿ AllPro Building Systems (ABS Homes) | Custom Panelized, Prefab & Manufactured Home Packages | F.A.Q. AllPro was founded on the principle of having a 'system' available that allows the owner builder to "build your own home", or be involved with the project. We do recommend that someone be on-site that understands the process of building and framing - other than that - the 'system' is exceptionally straightforward. 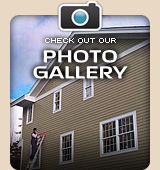 Many of our more experienced DIY'er customers have been successful acting as their own general contractor. No. Panelized construction is modernization beyond traditional 'stick' framing. We take the plan and panelize both the exterior and interior walls in a controlled plant environment. We also supply all the materials needed to get your home to a 'lock-up' stage, thus, the AllPro package home. AllPro is a 100% custom design/supply panelized company and can work with any plan, or design one for you from scratch. You are not restricted to selecting a plan from our site. The pre-priced plans that we offer will help you to see what a specific house would cost, which is very useful when developing a preliminary budget. Will I pay more if I use a custom plan instead of choosing one of your pre-priced homes? Each plan is individually priced and there is no price advantage to using an AllPro pre-priced plan. Pre-priced plans are listed on our website for your reference, as they provide a good illustration of what a similar house package may cost. What's included in an AllPro material "package"? AllPro material package specifications are provided on the "What's Included" page on this website. What are the financial benefits of purchasing an AllPro packaged home? Time – 40% faster – and time is money! Most custom home packages consist of 1 to 3 loads on a 53' step deck truck. Shipping costs will vary depending on where you are building.